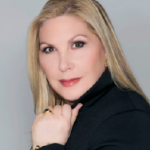 Wendy Lewis features the highlights of the recent Plastic Surgery The Meeting (ASPS) conference in Los Angeles. The American Society of Plastic Surgeons (ASPS) is the largest plastic surgery specialty organization in the world founded in 1931. 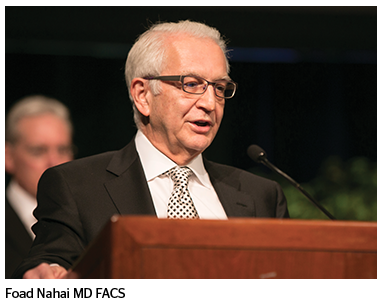 For 2016, they took their annual meeting to Los Angeles, known as home to some of the biggest names in the specialty. The host country for this year’s meeting was Japan, and ASPS members welcomed a large group of plastic surgeons and their staff and families. 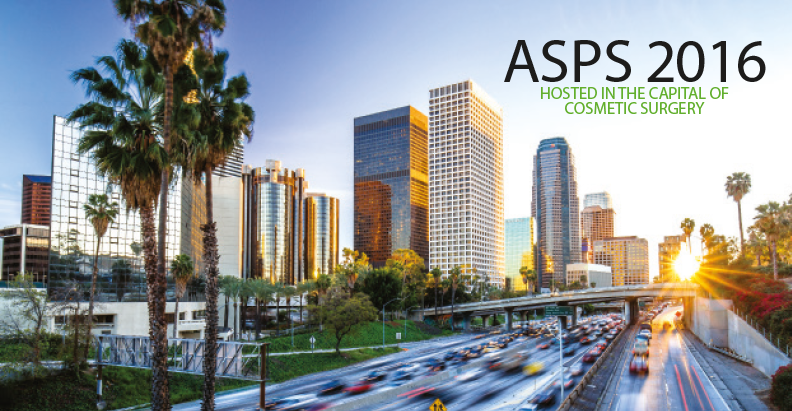 ‘What a terrific annual meeting of the American Society of Plastic Surgery and ASMS and in our host city of Los Angeles. It was a wonderful eclectic event shared by the entire plastic surgery community and drew record attendance from all over the world. The exhibit hall was filled and the Resident’s Bowl in the exhibits was again fun and successful. From opening ceremonies to the 70th Birthday of Plastic and Reconstructive Surgery Journal to the closing party in the Conga Room; there was something for every attendee. The final program hallmarked partnership programming with our sister societies,’ said Alan Matarasso, MD, FACS, in New York City. Dr. Debra Johnson in Sacramento, CA, was elected to be the new President of ASPS, which is a milestone. Historically, there have been all too few women in leadership positions in the field, and hopefully that will change soon. Although women now account for half of all medical school graduates, they are underrepresented in plastic surgeon and make up only 14% of plastic surgeons. ‘As the new president of the American Society of Plastic Surgeons, it was exciting to be part of this latest gathering. We plastic surgeons work tirelessly to bring the best possible care to our patients. Attending PSTM allows us to network and share insights and techniques with both US and international colleagues. This year’s sessions were excellent and thought provoking. We look forward to next year’s meeting in Orlando to continue our efforts of life-long learning,’ she said. 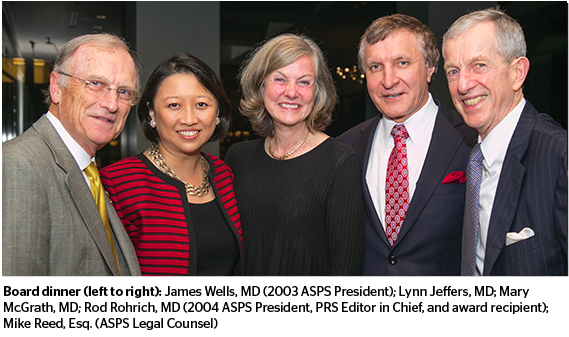 Along with a focus on breast reconstruction, and the all important work ASPS plastic surgeon members do to enhance women’s self esteem, there was also an emphasis on plastic surgery on diversity and gender equalization. We counted five satellite symposia featuring advancements in breast reconstruction surgery techniques, including sessions on SPY Elite, DermACELL, Renuva Allograft Adipose Matrix, and pre-pectoral breast reconstruction utilizing Acellular Dermal Matrices (ADMs) and fat grafting. During the Hot Topics session, vaginal rejuvenation took center stage with an informative panel featuring three leaders in women’s health; plastic surgeons Christine Hamori of Duxbury, MA; Heather Furnas of Santa Rosa, CA; and Dr. Sherry Thomas, a renowned pelvic surgeon from Los Angeles. The meteoric rise in popularity of women seeking out treatments for deflated labia, stress urinary incontinence, and vaginal tightening was discussed as one of the emerging arenas for plastic surgeons. Plastic and Reconstructive Surgery, lovingly referred to as ‘the white journal’, celebrated its 70th birthday this year. As Dr. Rohrich explains, social media is rapidly exploding in plastic surgery circles. 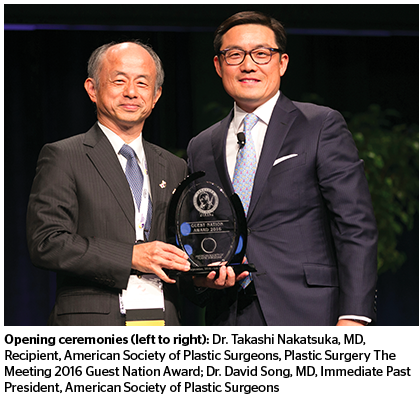 ‘At PSTM 2016, there was a dedicated focus on making #plasticsurgery ours to reach patients and consumers. The challenge is how to do it ethically and properly with HIPPA guidelines.’ He noted that modified ASPS ethical guidelines are soon to be forthcoming for members to follow for promoting their own practices and engaging with colleagues and industry contacts. As always, there were a few notable new launches generating buzz in the exhibit hall. Allergan announced the FDA nod to m arket a new silicone gel breast implant, NATRELLE INSPIRA® Cohesive breast implants, available with both smooth and BIOCELL® textured surfaces. This device offers women a new breast shaping option that combines a high gel fill ratio and Allergan’s highly cohesive gel for a customized result. On the horizon, two novel breast implant technologies were featured in the Hot Topics session. London-based plastic surgeon Marcos Sforza described his positive experience using Motiva® Implants that are manufactured in from Costa Rica and currently have a CE Mark. These unique softer silicone gel technology offers a comprehensive selection of 500 round Motiva Implants® choices with a low rate of capsular contracture. Also from London, plastic surgeon Patrick Mallucci introduced the new B-Lite® implants from Israel, touted as being the world’s lightest breast implant. The B-Lite gel is cohesive and has a reduced density, which render these implants up to 30% lighter than standard silicone gel implants. Biologica Technologies introduced its long awaited adipose filler, Allofill® at the meeting in Los Angeles, CA. Allofill is the first product of its kind; a ready to use, ‘off the shelf’, adipose-derived injectable filler that works with the body to provide an all-natural tissue scaffold with native growth factors. Allofill retains the native extracellular matrix (ECM) components of allograft-derived adipose tissue and over time will be remodeled into a patient’s own soft tissue. X-Medica conducted a popular CME symposia featuring Drs. Z. Paul Lorenc and Barry DiBernardo presenting novel techniques for facial rejuvenation, including using the Thermi® family of radiofrequency energy based devices for tightening tissue, and Silhouette InstaLift®, a resorbable suspension suture with bidirectional cones designed to lift the tissues of the midface. Of special interest, Drs. J. Peter Rubin from UPMC in Pittsburgh and Babak J. Mehrara from Memorial Sloan Kettering Hospital in New York City are principal investigators for the General Registry of Autologous Fat Transfer (GRAFT) that is now open to all ASPS members for contributing all fat grafting procedures through the Plastic Surgery Foundation. The objective of GRAFT is to establish the first US-based, nationwide registry of fat grafting for all aesthetic and reconstructive surgical procedures. Plastic surgeons can use the new GRAFT App for data entry using their mobile devices. Data from GRAFT will be used to gain insights into the safety of fat grafting procedures and to establish best practice guidelines. Another hot topic covered extensively was injectable filler safety. Among the important discussions on fillers, Dr. Rohrich said, were the role of teaching plastic surgeons facial anatomy well, and the principles of how to inject carefully to avoid the six danger zones in the face. Two satellite symposia were dedicated to live injection techniques of the lower face using Radiesse® (Merz) and Belotero® Balance (Merz). The newest FDA cleared filler, JUVEDERM® VOLBELLA XC (Allergan) also generated a lot of excitement. 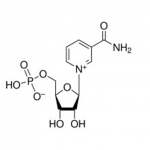 It is indicated for use in the lips for lip augmentation and for correction of perioral rhytids. Another highlight of the Hot Topics session was the work of Dr. Takeru Nomachi from Japan presenting a new way of treating hyperhidrosis with monopolar RF from Thermi. 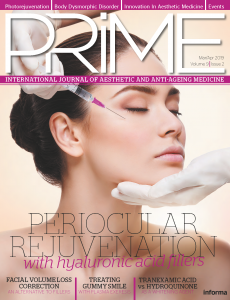 Dr. Gordon Sasaki from Pasadena reviewed his methods and expertise in combining the use of platelet rich plasma (PRP) with microneedling with impressive results for skin rejuvenation. Dr. Philip Haeck from Seattle, Washington explored the current indications and future potential for expanding the usage of Kybella® (Allergan) to treat fat deposits in the knees, ankles, axilla, and brachial arm fat, as well as for men. ASPS introduced its new updated and easy to navigate website. It also features PSPS (a subsidiary of ASPS) and the new Management Service Organization (MSO). ‘Scientific sessions at this year’s meeting addressed the gamut of plastic surgery clinical and research topics, as well as a focus on marketing and practice management. 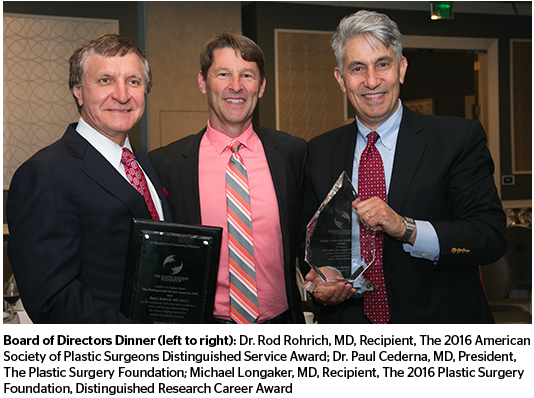 The MSO was designed to help plastic surgeon members manage the business side of their practices, which has become an increasingly important topic for residents and established plastic surgeons alike,’ said Dr. Matarasso. Drs. Bob Basu and Joshua Korman presented the second annual Practice Management Re-Boot Camp Version 2.0 that took place over two days preceding the ASPS general meeting. This program was designed to educate practice managers, cosmetic coordinators, nurses, residents and plastic surgeons on how to market their services from web marketing to reputation management and patient seminars. Speakers from around the country contributed to this robust program that was sold out. Of particular interest were the sessions focused on social media, website development, and cosmetic consultations, and content was offered for both solo aesthetic practices, group practices, as well as reconstructive surgery and university based practices. Attendees took away numerous pearls and had an opportunity to network with colleagues and consult with vendors in the Re-Boot exhibit hall during the breaks. Next year, The Plastic Surgery Meeting will take place in Orlando.